3 Fruit servings in 1 drink! Place all in a mixer and blend for 30 seconds. 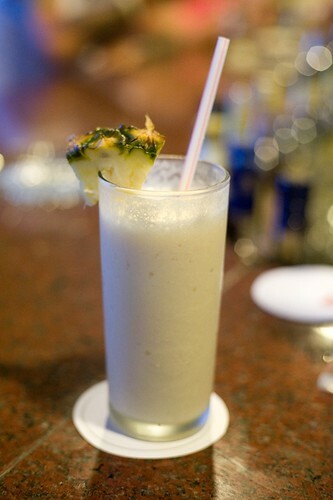 May drink immediately, served chilled or frozen. The presence and evidence of wine has been traced to the first and second millennium in China and from there, production of wine has been found to also exist during 5000-6000 BC in the Mid-East. Wine evolved and technology began to advance during the Roman Empire as vineyards were cultivated and wine was stored and shipped in barrels. Today, researchers provide us with the latest DNA results concerning the progress of the fruit and it’s spirit. After much DNA research on grapes in the countries of Australia, France and Italy the studies have concluded that the next two-four years of wine production should be exceptional due to the optimal quality of the grape. “The cultivated heterozygous grape species, Vitis vinifera, has potential to become a model for fruit trees genetics after determining it’s genome sequencing”, according to the IASMA Research Center, San Michele all’Adige, Trento, Italy. 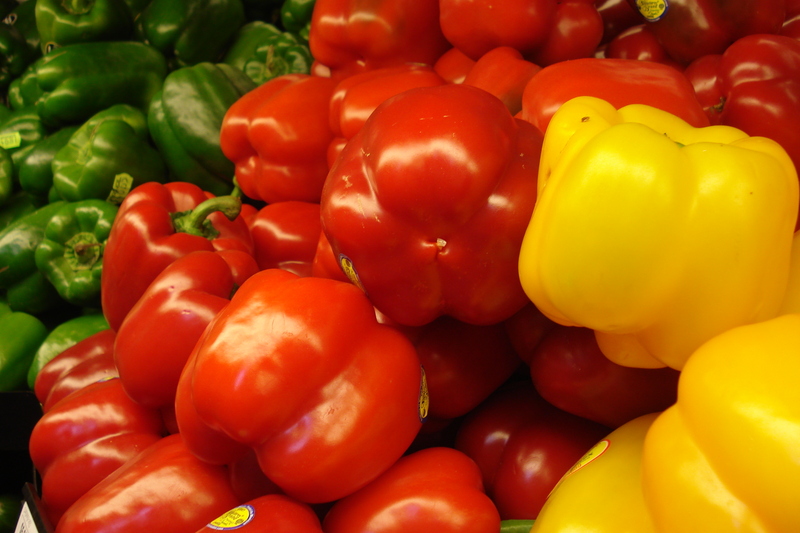 Agriculturalists will benefit from this research by quickly identifying and reducing the number of micro-organisms or parasites that are bringing harm to the plant, allowing the farmers to produce a more stable product. 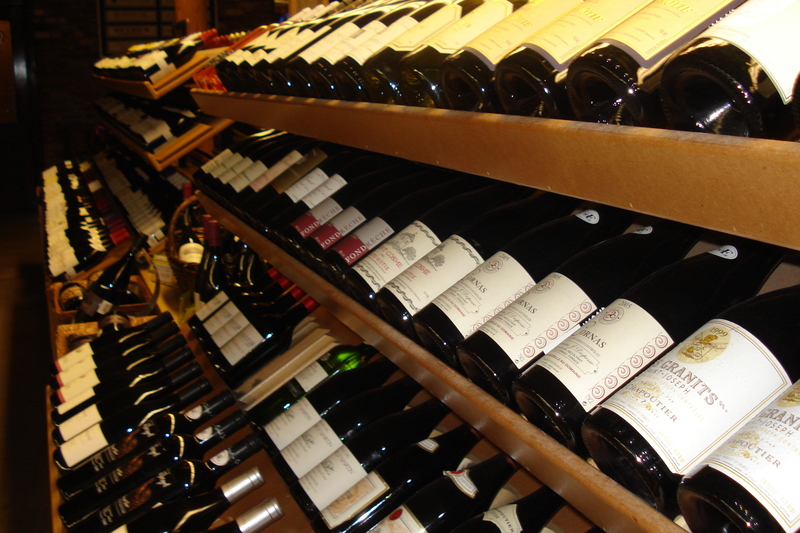 The consumers can look forward to a higher quality wine, which will be more readily available. Italian wines have consistently outpaced the French and Spanish wines over the past few years. Recent statistics released in a survey done in Los Angeles, CA have shown young Americans and women to perfer: Chianti Classico, Pinot Grigio (Alto Adige and Friuli), Barolo, Barbaresco and Brunello. However, countries that are competing for a place in the local cantina are: Africa, Argentina and Portugual. All who have found ways to provide a table wine that will elegantly enhance the simplest to priciest of dinners. 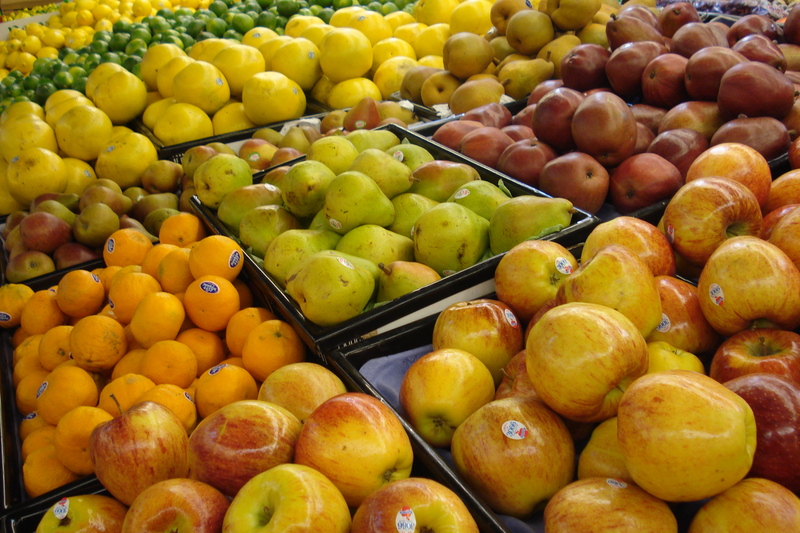 Recent information in the media presents the medicinal benefits of wine and juice content of fruit (i.e. 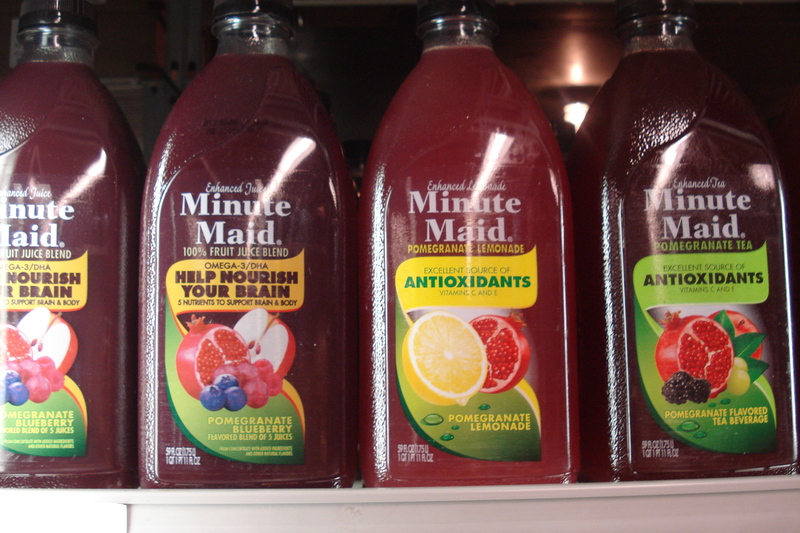 Minute Maid), which comes from a chemical compound called Resveratrol (also found in peanuts, soy, cranberries, blueberries, and Itadori tea which maybe a good substitute for red wine) linking it to possible human longevity. What is known about resveratrol is that it is produced in the skin of red/purple grapes and it’s main purpose is to operate as an anti-fungal agent or an anitbiotic. It transfers to the juice of the fruit during crushing and fermentation. It’s typically found in red wines, but not white wines. Resveratrol is a phenolic compound that can be found where grapes grow in colder climates such as: Northern CA, MI, Canada and North European countries. This is because rainfall is more and sunlight is less, hence the need for resveratrol to fight against developing fungi. One cup serving of grapes yields: 57 calories, 6 grams of protein, 16 grams of carbohydrates, 2 mg of sodium, 1 gram of dietary fiber and vitamins A and C.
One glass of red wine yields: 4 oz 85 calories, sodium 6 mg, total carbohydrates 2 g.
pubmed.gov PLoS ONE. 2007 Dec 19;2(12):e1326. Weightloss! Easy Diet, Keep it Off! It’s official, Spring and weightloss is putting us on the scale! The quickest way to lose weight is to consume VEGETABLES, thereby, giving your body the opportunity to work at breaking down the soluble fiber and nutrients, while increasing the body’s metabolism. Additional studies published in “The American Journal of Clinical Nutrition” put forth the results of a randomized study that compared a “reduced fat diet (RF)” and a “reduced fat intake and increased fruit and vegetable intake (RF+FV)”. The study concluded that the greater weightloss after six months was sharply noticed with the combination diet of RF+FV, by 1/3 more total weightloss! “Reducing dietary energy density, particularly by combining increased fruit and vegetable intakes with decreased fat intake, is an effective strategy for managing body weight while controlling hunger.” Additionally, they noted that maintenance of the weightloss was also more prevalent, “The 2 strategies for reducing energy density that were tested in this trial were both effective in reducing body weight and maintaining weight loss without prescribing limits for energy or fat intake.” Other studies, such as the Dash Diet, TLC Diet and Mediterranean Diet concur that combining the RF+FV is the healthiest and most effective way to go. Don’t forget to exercise 20 minutes a day to encourage increased weightloss. Cherry Tomatoes 4,Tomatoes: Raw 1 med., Tomato juice, canned 3/4 c.